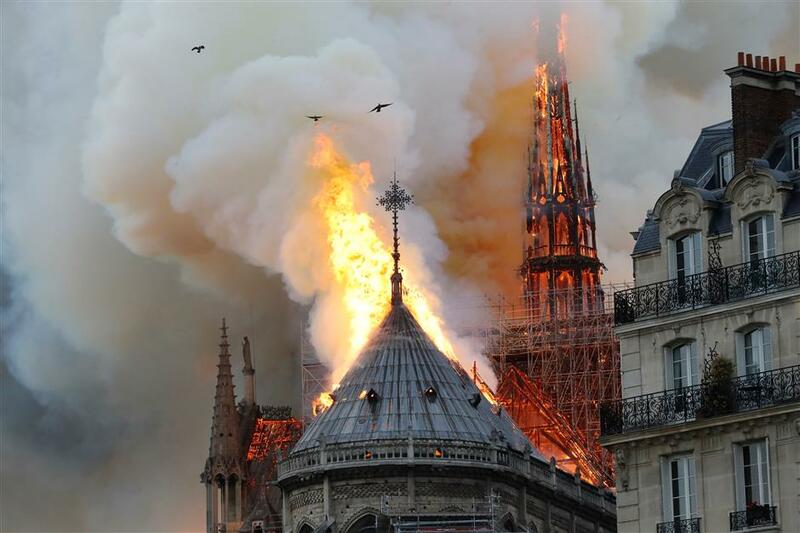 A major fire broke out at Notre-Dame Cathedral in Paris on Monday, a roaring blaze at one of France's most visited landmarks that threw a huge plume of smoke across the capital. A major fire broke out at Notre-Dame Cathedral in central Paris on Monday, a roaring blaze at one of France's most visited landmarks that threw a huge plume of smoke across the capital. Firefighters cleared the area around the cathedral, which marks the very centre of the city. President Emmanuel Macron cancelled an address to the nation that he had been due to give later on Monday evening.